Hi! I drew this some time ago in March for #oneweek100people needeless to say, I didn't get anywhere near 100. 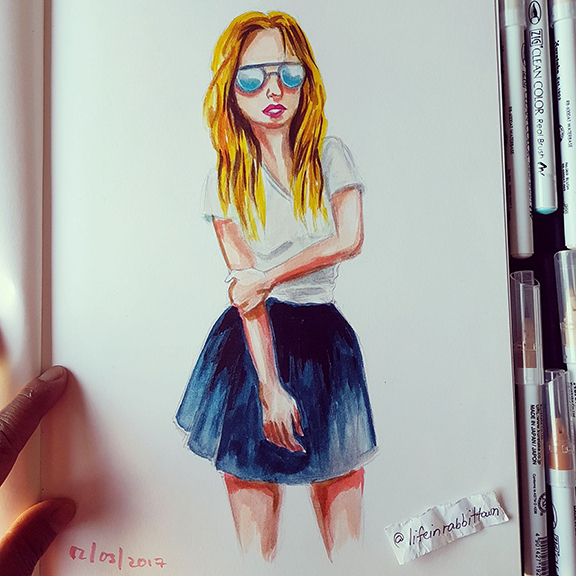 A bit of fun drawing though. 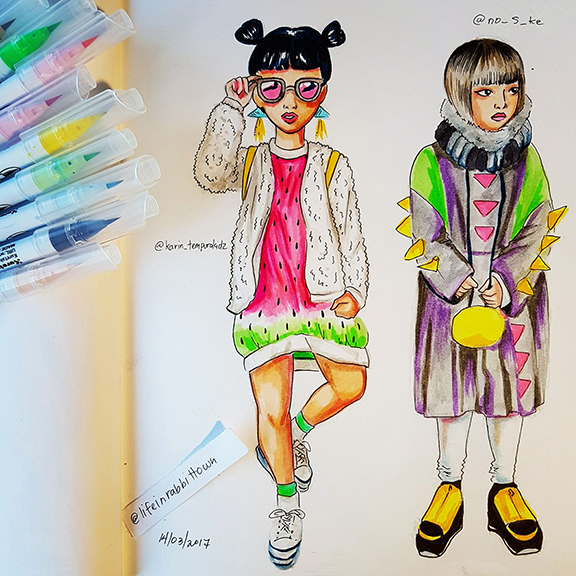 The two above is from @tokyofashion on instagram and it's of @karin_tempurakidz and of @no_s_ke. I do love quirky Japanese fashion. Too bad, we're not going to Harajuku in our next trip. Oh well! This weekend, I submitted roughs for an e-book job, registered and started an exhibition piece, did chores and soon...we will be entertaining guests. Robs' sister and niece are coming around to see our kitty, Hanzo. I am also hoping to draw up another lucky kitty from my collection and do a bit more on my exhibition piece. I still haven't been able to update my Redbubble shop. So much stuff to do as always!